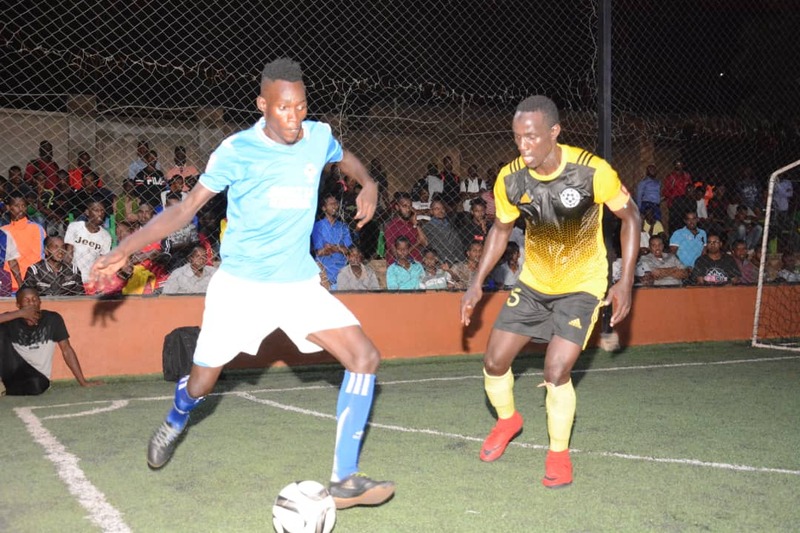 MENGO – They say, ‘When u want to be the best, beat the best’ and that is exactly what Park did in the Futsal Super League on Thursday night as they defeated log leaders, Yeak Kabowa 3-0 at the International Futsal Courts in Mengo. Going into the much anticipated encounter, Park were trailing Yeak by 5 points and knew that anything short of victory would all but end their title charge. With utmost determination and desire, Park showed they wanted it more right from the start and they raced into a 1-0 lead by halftime thanks to Shaffic Mulangira’s strike. In the second, Yeak threw all they had at Park but were always suspect at the counter and they were made to pay twice as Park Captain Iddi Babu helped himself to a brace, taking his tally of goals for the season to 22. In the end, Yeak who had scored in all their last 10 games could not breach a resilient Park defence, losing 3-0 at the sound of the final whistle. The three points earned see Park close the gap on Yeak to just two points with 15 rounds played. Park now have 33 points while Yeak remain on 35. For third placed Dream, they continued their fine run of form, thanks to a hard fought 2-0 win over Mengo City. Dream who were without influential defender John Kitanda due to suspension, failed to get going in the first half as they were repealed by Mengo and hence the two sides went into the break dead-locked 0-0. In the second, John Ssegawa took the initiative, scoring two goals in the final 10 minutes, to see Dream take the day 2-0. Dream who have not lost in any of their last 8 games now, move to within six points of leaders Yeak. The defending champions have now accumulated 29 points from 15 games and are very much back into the title race as they sit 3rd on the log. Mengo City on the other hand remain 10th with 16 points. 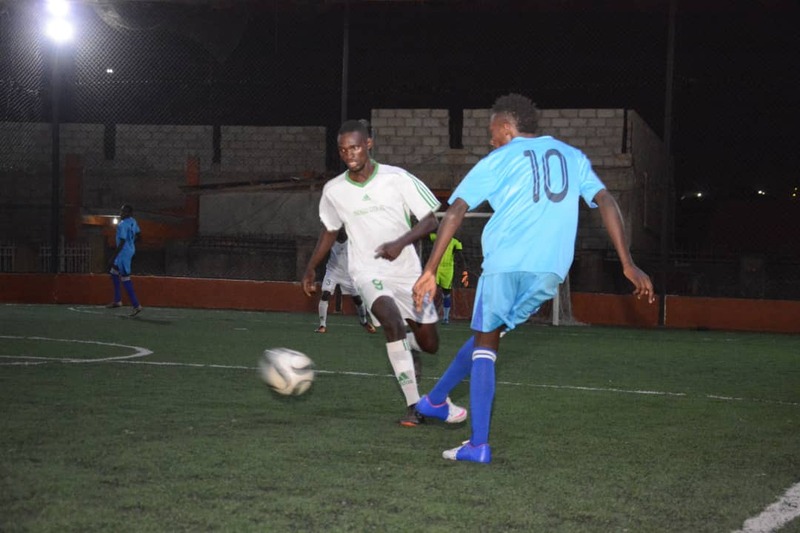 In the other high profile encounter that took place on Thursday, Aidenal who went into the game winless in their last four, defeated bottom of the pile-Yap Stars 5-3 in a thrilling game. The Entebbe based side were rampant from the word go, taking a 5-1 lead by halftime thanks to goals from Oniala Louis, Michael Kasozi and a hat trick by Ronald Ssonko. Yap’s first half strike was scored by Ronald Kimbugwe. In the second half, Yap tried to mount a comeback as they scored the only two goals of the half, but Aidenal held on to take all three points. Kimbugwe and Hamidullah Nduga struck for Yap in the last 15 minutes. Victory sees Aidenal remain in 11th with 15 points while Yap are still rock-bottom on 6 points from 15 games. The highest scoring fixture on the night took place in the game between Parakeets and Kabowa United. Parakeets who have had a trying last few weeks produced a scintillating performance on the night, one identical to that that saw them climb onto the top of the log at one stage earlier in the season. Parakeets started strongly and held a huge 4-1 lead by halftime. In the second period, they never took the foot of the peddle, scoring as many as they scored in the first (4), to win the encounter 8-1. Victory sees Parakeets climb into 4th on the standings with 28 points, 7 adrift of leaders Yeak while Kabowa remain second from bottom with 9 points. Elsewhere, Equator defeated Bajim 2-1, Crown annihilated Elephants 4-0 while Nomad and Typhoon played out a 1-1 draw. Yeak’s Shaffic Avemah still leads the scoring charts with 26 points, four ahead of Park’s Iddi Babu (22). The Futsal Super League returns next Thursday with another gigantic battle between Yeak and Dream.